Need gear? We’ve got you covered. Full disclosure: all links are affiliate links – you’ll spend nothing extra, but we receive a small sum for any purchases made using these links. Thank you! Thanks for compiling this list. I use it for my SR5 purchases now. It is super easy to find what I am looking for. Plus I can throw some money your way for the hard work you do. We’re happy to help! And thanks for throwing some money our way! Hey, thanks so much for the heads up and the kudos! I’ll make the updates now. I’ve been using the links above when grabbing pdf files. If I need to navigate away from the link target to acquire a printed version, do you still get credit? Good question. To be honest, all I know is that if “affiliate_id=618124” appears in the html address then we should get credit for a purchase, no matter what it is. Thank you for the information. I look every time now. I did just notice that using the Drivethru link on the homepage sends me there with your affiliate link attached, but as soon as I did the search for “Drawing Destiny” it removed any affiliate information. I’ll hold off on purchasing until you get a link set up in the shop. I am totally hooked on the Shadowrun-novels, I read them on my Kindle so I buy them from Amazon. Is there any way go get to Amazon through your website so you get some Nuyen out of it? Absolutely! And thanks for thinking of us! Head to the home page. On the right sidebar, fourth widget down, right below the DriveThruRPG banner, there is an Amazon search field. Search away! 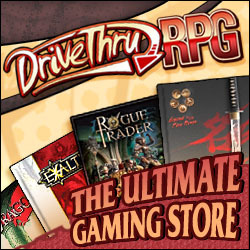 Looking to make a couple purchases from drivethru, but your affiliate links aren’t working at the moment. I don’t know if it’s a drivethru thing, or if it’s on your end, but I thought I’d let you know. I’ll check back in a day or two. Also, any chance you may be able to get a cut on the old Shadows of North America books? If so, I’m looking to pick up volume 1, and would prefer that you guys get a cut, if possible. Thanks for the heads up – apparently the links changed without our being notified. But all’s updated now. Hi Vox and Mr. J. It might just be me but I tried several links today and all of them errored out. “Site can’t be reached”. Figured I’d pass the news along in case there is a problem. Thanks for the heads up – I’ve updated the links and everything should be working fine now! Getting ready to start GMing a first time crew in shadowrun. Reddit led me to your podcast. Ive listened up through episode 15 and was hoping to find data sets that you mentioned. Are they long gone? I have the starter box, core rules book, probably getting Run Faster and the second starter box thing (name eludes me), but looking for advice on premade missions to help bring my players into the world before they make their own characters. There is a Shadowrun 5th Edition Gamemaster Screen. The catalyst product code is CAT27050 and is retail price marked as $19.99. If you search for that on google you’ll find it from several vendors. I am sorry to say it is terribly out of date. I will do my best to update the store by the weekend.